The FADfest has established a reputation as the largest and most dynamic design event in Spain, writes Astrid Stavro. Now celebrating its fourth year, the festival will run from Wed 25 June to Thu 10 July, 2014. It aims to celebrate and promote Barcelona as the design capital of Spain and as a gateway to the international creative community. FADfest is a fortnight filled with awards, conferences, debates, talks and many other activities connected with design. The festival includes industrial design, graphic design and visual communication, architecture and interior design, fashion, art and crafts. It celebrates Spanish creative excellence and recognises the work of professionals and businesses that bring design closer to the people. 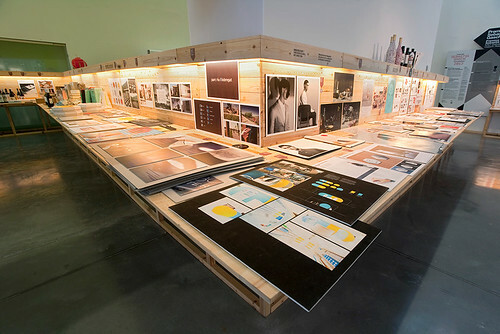 ‘Best Designs of the Year’ exhibition, 2013. Top: the FADfest 2013 closing party. All photographs by Xavi Padrós. The organising body, FAD (Fostering Art and Design) is a private, not-for-profit association that was founded in 1903. It is the oldest and largest membership association for design professionals. The newly elected president, rug designer Nani Marquina (daughter of architect, designer Rafael Marquina, one of the pioneers of design in Spain and the winner of first FAD prize in 1961 for his Marquina olive oil cruet), runs FAD with the help of a volunteer board. 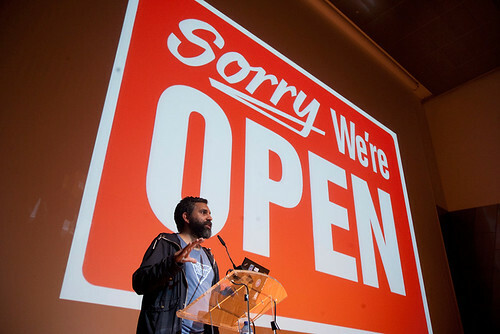 David Cuartielles, co-founder of Arduino, speaking at the ‘Open Design / Shared Creativity’ conference, 2013. The Festival of All Design takes place in the Disseny Hub, designed by architect Oriol Bohigas, Barcelona’s new design centre which houses the Museu del Disseny de Barcelona and the BCD (Barcelona’s Design Council) as well as FAD. Highlights this year include lectures by Debbie Millman, Maria Popova and Guta Moura in the second edition of the ‘Rock Paper Pixel’ conference on Wed 2 July. Under the theme ‘Present’, the event sets out to differentiate itself from the standard design conference set-up by presenting the potential breadth and dissemination of contemporary design ideas to a diverse audience. The lectures are followed by a series of round table discussions focusing on contemporary publishing. Other events on the programme include ‘Animotion Days’, a tour of photobook exhibition ‘Fotollibres. Aquí i ara’, a screening of the Vignellis’ Design is One and ‘Typoweek’, featuring masterclasses by Peter Biľak and Ruedi Baur. 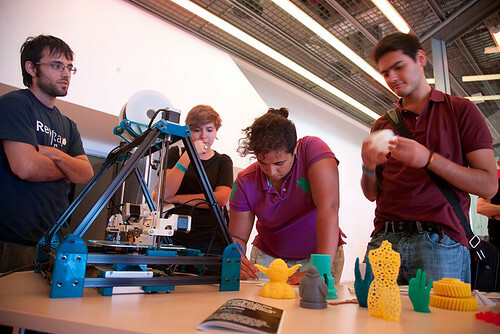 3D printing at the ‘Open Design / Shared Creativity’ conference, 2013. 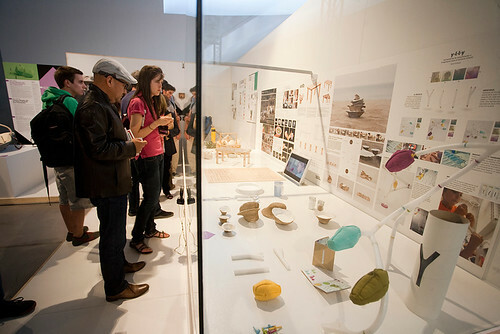 Displays of product design at ‘The Best Design of the Year’ exhibition, 2013. The festival will also unveil its ‘Best Designs of the Year’ exhibition, which showcases more than 500 shortlisted and winning projects. 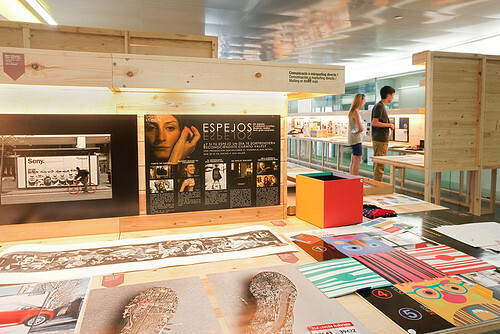 This includes the Laus Awards, Spain’s most coveted graphic design awards. Winners are chosen by a selection board of established designers and previous winners, including Matt Willey, Fraser Muggeridge and Eduardo del Fraile. 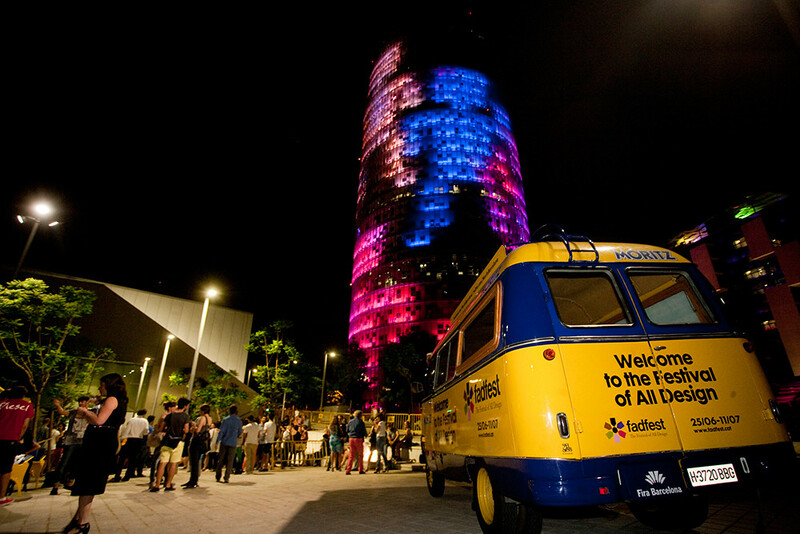 FADfest Barcelona takes place at Disseny Hub Barcelona, 25 June-10 July 2014. Entrance fees this year are based on an open-price system – you to set the amount of the entrance ticket. 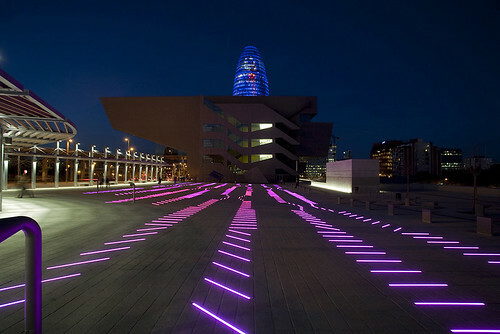 Disseny Hub Barcelona, the FAD (Fostering Arts and Design) headquarters. Outdoor installation designed by David Torrents.